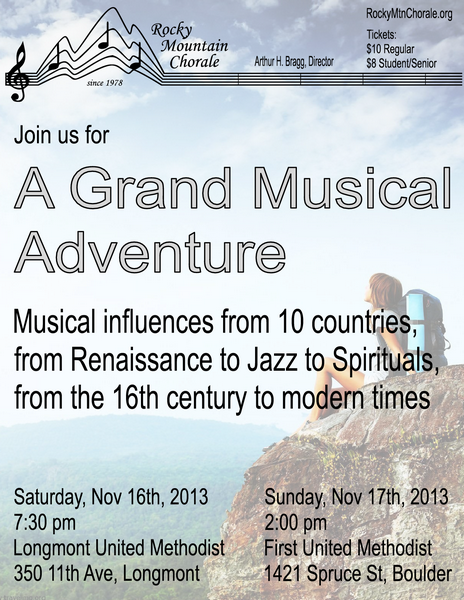 This will be a very exciting concert. 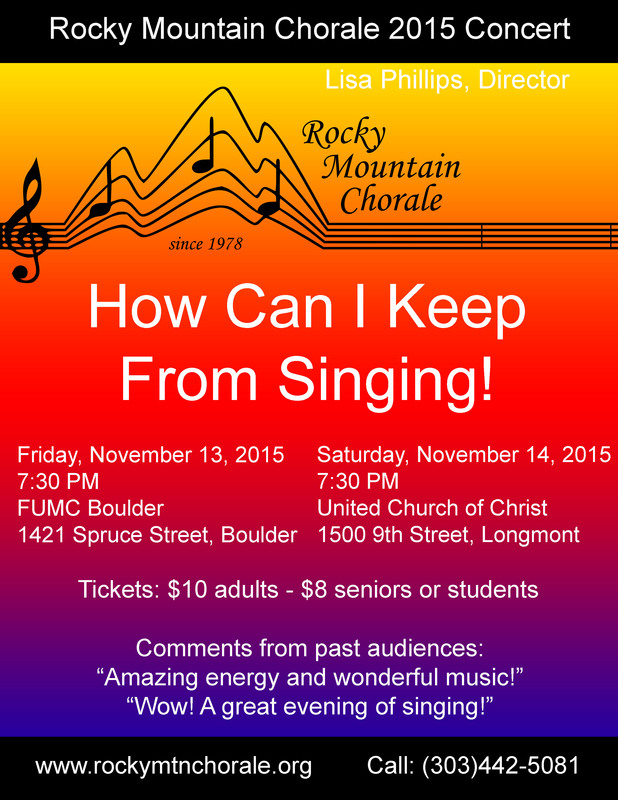 For the finale we’ll have over 90 singers on stage from high-school age on up. 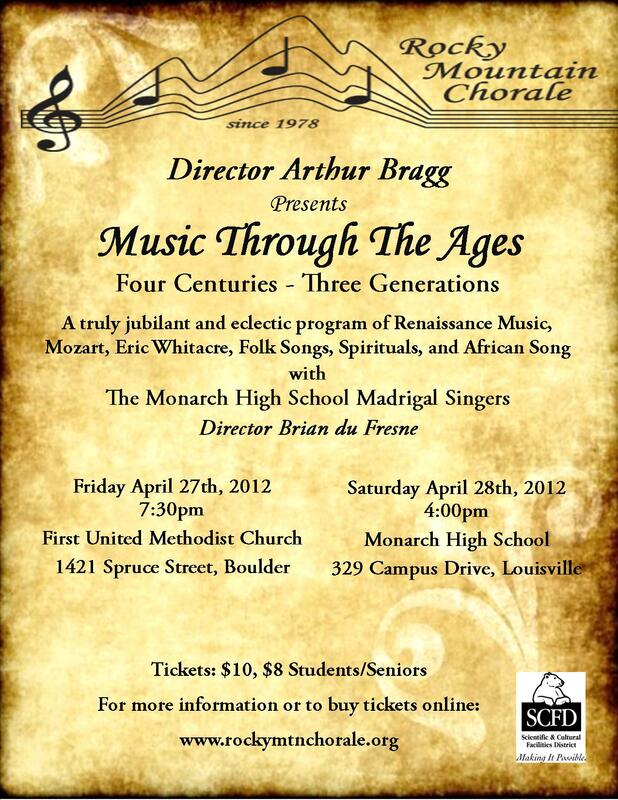 This will be a wonderful multi-generational experience. 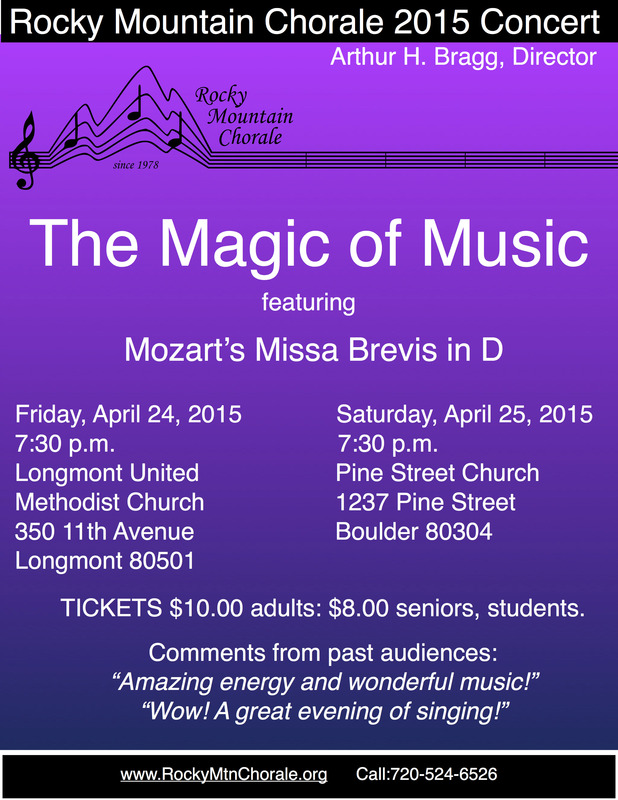 The concert features “Ritmo” by Dan Davison, a recent composition that is taking the choral world by storm. It requires two pianists and has lots of latin rhythm with the choirs supplying the percussion with claps and slaps and finger snaps. 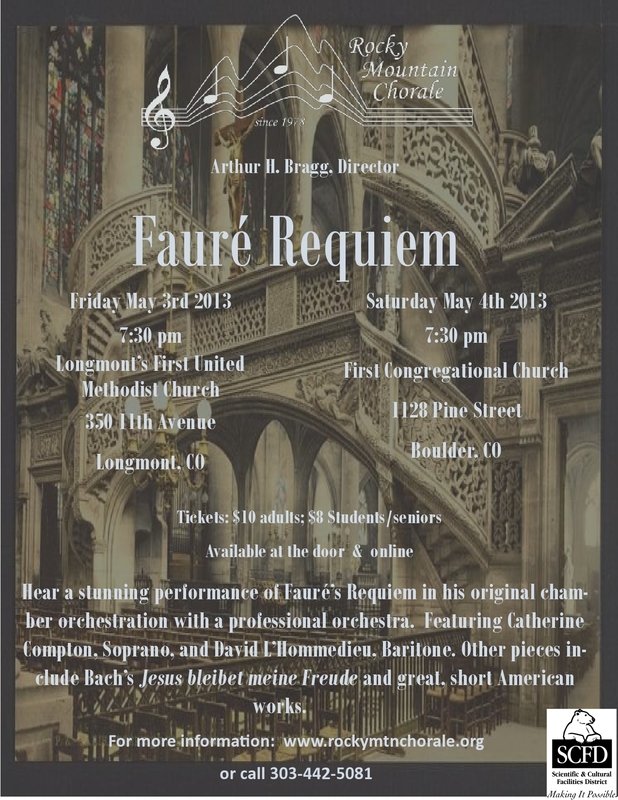 Also featured in the concert is the talented Alejandro Gómez Guillén, director of Cantabile Singers in Boulder, singing the tenor solo in the popular Venezuelan choral work “Mata del anima sola”, and solos by Rocky Mountain Chorale’s associate director Brian du Fresne and women’s section Leader Lisa Phillips. 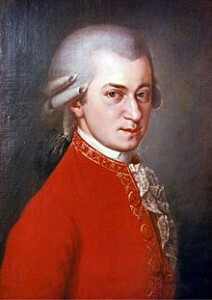 And if that isn’t enough we’ve paired two choral classics by Mozart and Mendlessohn to be performed with small orchestra. 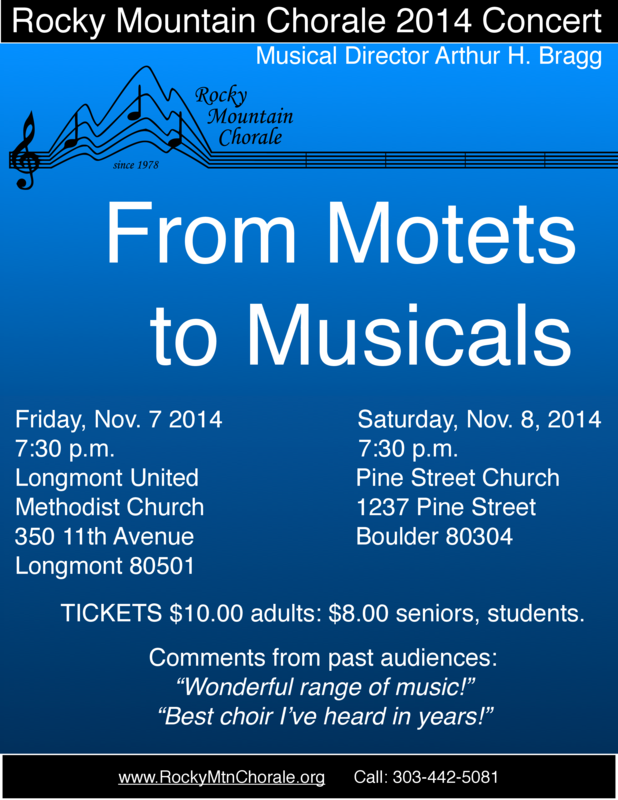 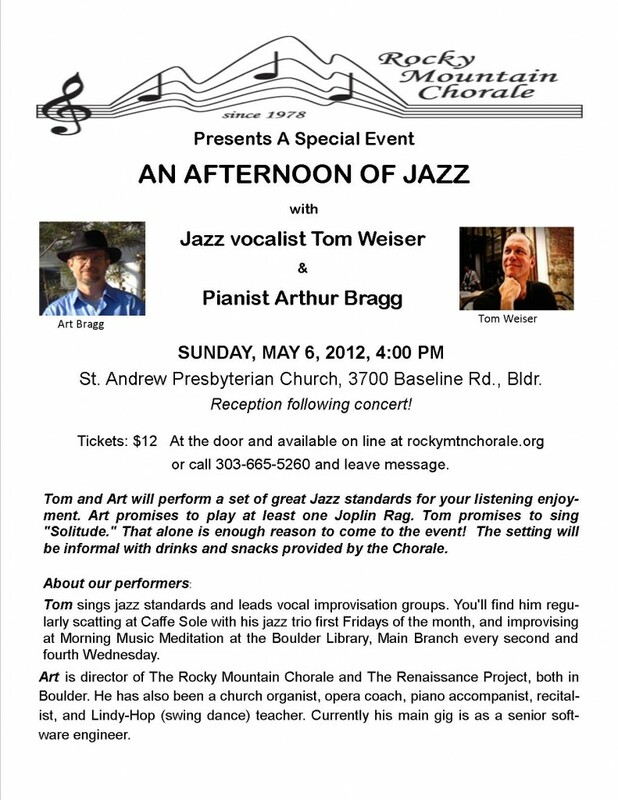 The concert also includes a wonderful collection of motets, folk songs, and spirituals. 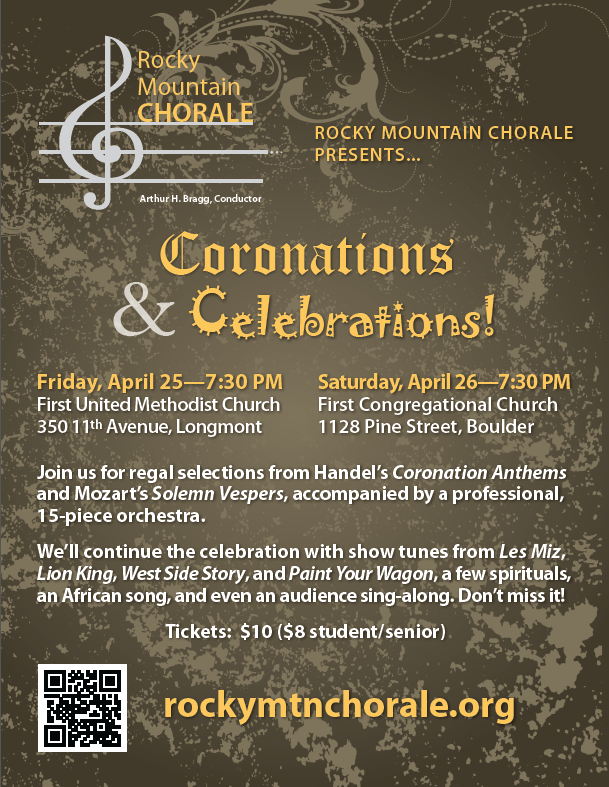 Celebrating the return of conductor Art Bragg after 20 years with a selection of Art’s favorites – great choral music from Renaissance Motets to African song.